I live in Lebo, Kansas, and have shown livestock since I was 11. I am currently 15 years old and a sophomore at Lebo High School. 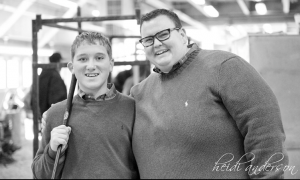 I have two brothers and three sisters and I spend my time traveling to and exhibiting at cattle and pig shows across the nation, throughout the year. What species do you show and who has influenced you most in your show career? I show cattle and pigs. I have shown cattle for three years and I have shown pigs for five years. Dylan Evans has probably been my biggest influence throughout my whole show career. He helped me get started and never left my side. He’s been with me and my biggest cheerleader and support through my entire career. Our families have been long time friends, and I can’t thank them enough for getting me involved in this industry in sixth grade.What is one of your favorite showring moments? 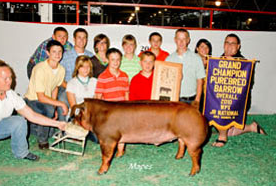 My favorite show ring moment was probably when I won the World Pork Expo. It was my first major show and when the judge picked me to win I was not really sure what had happened, but by the expressions of all of the people I was there with I kind of gathered I had won! I had never seen some of the people that I was there with so excited in my life, it was probably one of the best feelings ever. Tell us about the success you have had this year. 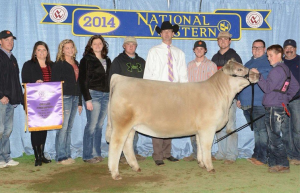 I have been fortunate to win multiple jackpot cattle shows throughout the winter. I won the Kansas Beef Expo Steer and Heifer Show, the National Western Prospect Heifer Show as well as many Champion and Reserve Divisions in the NWSS Prospect Steer Show, Missouri AGR Show and Ring B Steer Show at Wichita Falls Classic in Lawton, Oklahoma. I also won the Kansas AGR, and The Northern Exposure. On the pig side of things I recently won the Mother’s Day Classic. 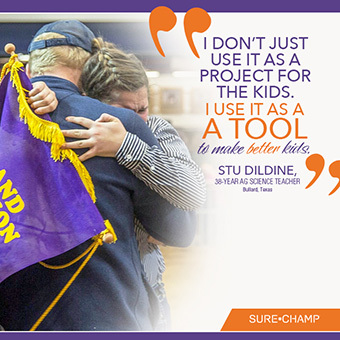 How has Sure Champ helped you achieve success in the showring? 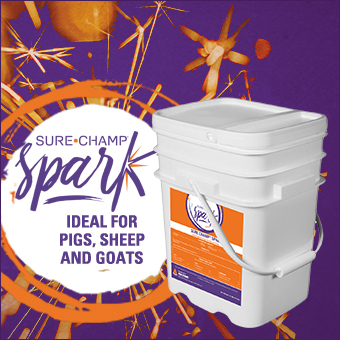 We use both Sure Champ Cattle and Pig, and it has helped our livestock look as good as they possibly can on show day. They stay consistent on feed and have that show ready bloom and look about them at all times. It has been a great addition to the strong genetic lineup we have in both cattle and pigs, and allows us to maximize those genetics through performance. My future plans are to attend Kansas State University to get a degree in Agribusiness and/or Animal Science. What advice would you give to others that hope to become successful like yourself? My biggest advice to others is to work hard at home because working hard at home is really what wins the show. If you work hard at home and prepare your animals you’ve done the hardest part. The showing should come easy if you’ve done your homework. On top of hard work at home, I advise people to never give up no matter what may be standing in your way you can overcome anything and be successful.